Interviews, they say, are like first dates. What you say counts, awkwardness can occur and results are unpredictable. What exactly brings me to interviews? A day after the demise of J Jayalalitha, social media was awash with several interviews of the AIADMK chief. In one interview with Karan Thapar, Jaya appears visibly cagey, reclusive and non-committal. When Thapar bids adieu and says, “It was pleasure talking to you,” Jayalalitha quips, “I must say it wasn’t a pleasure talking to you, Namaste.” She promptly folds her hands, removes the microphone and walks out. Then we saw another interview where Jayalalitha is singing ‘Aa Ja Sanam Madhur Chandni Me Hum’ with Ageless Garewal. What’s more, she’s talking about her teen crushes. Which is understandable because when one is answering questions coming from someone whose face is botoxed into everlasting bliss, it’s easy to drop the guard. As expected, Simi’s gentle prodding exposed Jaya’s vulnerable side, giving us a rare glimpse of her insecurities. It is endearing when Jayalalitha tells us how she used to hold her mother’s sari before going to sleep. Given that Simi is as harmless as a kitten and Karan a Devil’s Advocate, the respective outcomes were expected. It all depends on who is interviewing whom. Journalists, moreover, are a prisoner of their image. More so, when their show is called Hard Talk or Seedhi Baat. Or Devil’s Advocate. Which brings me to another memorable tete-a-tete. Just as ‘Tequila shots’ remind me of Priyanka Chopra's interview with Ellen Degeneres, ‘women empowerment’ reminds me of Rahul’s interview with Arnab. That RaGa has not had any sit down thereafter, says it all. Moving on to Modi, our PM isn’t fond of answering questions either. Monologues over dialogues. Arnab, in his interview with Modi did nothing to puncture the air of righteousness and solemnity as he does with other guests. If Arnab had Modi, Rajdeep had Sonia. And if Arnab's interview with Modi was tame, Rajdeep’s with Sonia was lame. In a recent interview touted as the ‘Interview of the decade’ Rajdeep discussed what Sonia felt when she first met Indira Gandhi. In fact, he just stopped short of talking about their cooking escapades. If the brief was to stay away from personal and controversial, the outcome was as engrossing as watching the grass grow. Talking of Indian chat shows, how can we forget Aap Ki Adalat by Rajat Sharma. Looks real, grills hard, and entertains admirably. 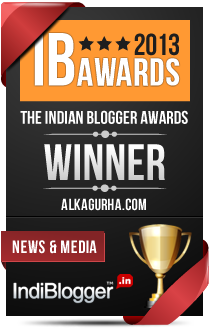 Audience claps, Rajat Sharma gets a Padma Bhushan. Everyone is happy. Happiness brings me to another Karan who is not a Thapar. 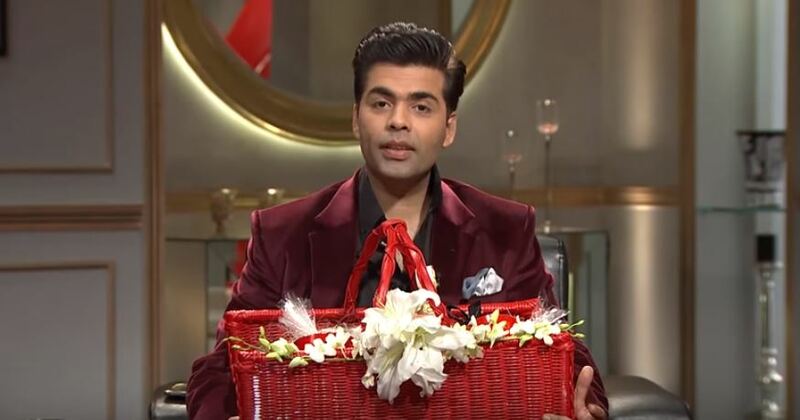 Away from the stench of politics, Koffee with Karan froths with filmy gossip, adult banter and feel-good bonhomie. There are moments when your eyes pop out because you haven’t heard jokes about unbuttoning, crotch gazing and gay play acting on desi television. If this piques your interest, go watch Twinkle Khanna’s episode. I don’t know about you, but as a silly teen I used to fantasize about being a celebrity who gives interviews left, right and centre. Today, I can’t imagine myself in the hot seat. Not that anyone’s interested, but asking questions is so much easier than answering them. Imagine, for instance, Karan Thapar demanding menacingly, “Do you think demonetization is a right step?” Being a radical middle kind of a person, I’d perhaps get caught in my own ‘on-the-other-hand’ kind of long winded explanations. Give me KJo over KTha and I will be happy to rate the Khans in order of my preference. All said, the magic of spoken word is far reaching that the mundane written word. How many of us remember a memorable print interview? The lovely Katherine Hepburn once said, ‘Death will be a great relief, no more interviews.’ I’m sure, somewhere up in the sky Jayalalitha would agree. Celebrities lead guarded lives. Few are candid enough to admit their mistakes and setbacks. I guess most do not want to appear vulnerable before a public that either eulogizes or castigates. The most interesting part about the post is the bit where you reveal about your teenage fantasy. Trust me, you'd have sizzled on the small screen. As for the star cast of the interviewers, assuming I am allowed to rate them here, mostly they range from being pathetic to pathogenic, except for Arnab —yes, I am biased. It takes a lot to go nuclear on the delinquents. I just wish our senior politicians were more forthcoming and public. Political parties usually send their minions or their attack dogs on TV. And the spectacle keeps getting bad to worse. Everything is a show. We never could become like BBC in India. We became Entertainment Tonight instead. The interviews are just not balanced. We either get to upset it yell too much. Most interviewers either get too nasty out too timid. I don't know, there is just not enough meat. And then contentious issues are hardly ever discussed. While KTHAP met more than his match in 'Amma'JJ during interview,he later confessed after his chanced encounter with her again in the Parliament lobby that she has left an impression of being very charming,endearing and intelligent polical personality..and that was real her. I think the interviewers have a preconceived assessment/agenda about the interviewee which they only want to confirm. Nice research Alka,I had a glimpse of those famous interviews. Thankfully, I did see some of these interviews but it requires a lot of tact to handle celebrities and sure Karan Thapar faltered while interviewing Jaylalitha!An enjoyable read Alka.